Energy Aware is a specialist solar power installation company with operations in Victoria, South Australia, New South Wales, Queensland, Western Australia, Tasmania and Northern Territory. All solar systems installed by Energy Aware are certified to Australian Standards and installed by Clean Energy Council accredited electricians. In addition, all our solar systems are approved by the Clean Energy Council and supported by Australian based lifetime warranties. 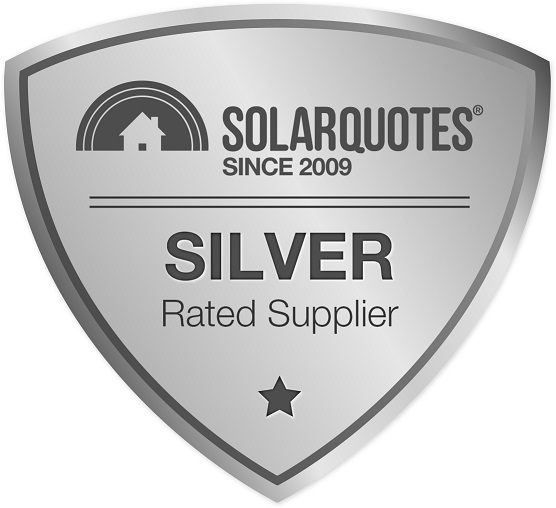 We pride ourselves on offering customers the best value-for-money solar systems on the market. We stock affordable systems for the average Australian home, as well as premium systems for customers with larger budgets. 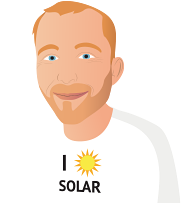 We help our customers understand the financial benefits of solar power before purchasing. In addition, we provide a fast and straightforward installation service which includes managing all rebates and Government paperwork. For customers seeking finance, we provide direct debit repayment plans for up to 30 months. Energy Aware did not come to the house to quote. Quoted on 20 panels. When the installers came they could only fit 19. They had rung my wife saying the same thing even before the installers had arrived (they later said they were confused with the morning job). Is this a pattern? The main switch was not changed and the roof has been there for 65 years, so was no different to the time of the quotation. This claim was ultimately dropped. Our experience at quoting and installation stages was excellent. Installed September 2013 we've had good as expected returns. Good communication and information. Helpful. Region - Northern Spencer Gulf. Roof facing due North. System seems very sensitive and has an output of up to 2.5Kw on August -September days (its maximum is 3.2Kw). Very pleased with this. The new import/export meter hasn't been installed yet and so I can see the current analogue meter going backwards - profit, profit, profit. Summer cooling is via a ducted evaporative system. We were late in accepting the quote (by about 8 months) but Energy Aware still honoured the original quote. It took 4 months for them to install the system due to the Christmas break, electrician on holidays etc and a heavy workload, but 3 men arrived one day and it was all installed and up and running by 2.30 that afternoon. Neat job. No complaints. Installer. Jeremy, did a professional job. All was neat and tidy and exactly as I wanted it. After asking for a quote, Energy Aware's presentation, paperwork and process was very accurate and easy to understand. One other supplier in my view was providing misleading information, providing a pamphlet on a rolls royce with actually quoting/selling a commodore. Found Energy Aware to be not too pushy and provided information or corrected misinformation that I had gained from others to be fully more informed. Hi Fin : Have at this stage only paid the deposit. No instillation has been done yet. Will let you know when installed. I told Nick Burrows from Energy Aware that l always go for quality and he assures me that there systems and workmanship are. At time of writing, have 10 of 18 panels installed, 3 weeks after initial installation. This due to roof supports being further apart than is standard. I have been charged extra for these additional brackets ($400) and have to presume that this is a reasonable price.